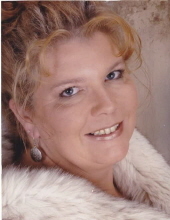 Lisa Ann Gable, age 57, of Plymouth, WI, passed away on Friday (November 16, 2018) unexpectedly at her home. She was born on November 10, 1961 in Galesburg, Illinois, a daughter of the late Jesse and Murel (Arie) Young. Lisa attended Henderson Grove Grade School in Henderson Grove, Illinois and graduated from Galesburg Senior High School. Lisa attended the University of Wisconsin Madison for nursing. On August 28, 1982, she married Curtis Robert Gable at St. Peters Lutheran Church in Richford, Wisconsin. Lisa worked for various outside sales for a number of years. She enjoyed doing arts and crafts, participated in the Kindness Rock Project in town, and loved spending time with her dog, Aeris. Survivors include her three children: Ryan (Laura) Young and their children: Jesse, Lucas, Dylan, and Noah Young all of Elkhart Lake; Lauren (John) Rose and their son: Dakota Rose all of Peshtigo; and Benjamin (Holly) Gable of Burke, VA; and One sister: Loretta (Lawrence “Larry”) Hayes of Galesburg, IL. Lisa is also survived by many nieces, nephews, other relatives and friends. She is preceded in death by her parents and two brothers, Jesse Jr. “Pete” and Lyle Young. Following Lisa’s wishes, cremation has taken place and a celebration of life will be held on Wednesday (Nov. 21) at Suchon Funeral Home in Plymouth. Friends and family may gather at the funeral home from 3:00 P.M. to 6:00 P.M on Wednesday. In lieu of flowers, a memorial fund is being established in Lisa’s name. To send flowers or a remembrance gift to the family of Lisa Ann Gable, please visit our Tribute Store. "Email Address" would like to share the life celebration of Lisa Ann Gable. Click on the "link" to go to share a favorite memory or leave a condolence message for the family.